Waterloo, Ontario. : Waterloo Music Company. Very Good. Softcover. 4to - 30.5 x 22.5 cm. ; 64 pp. No date. Saddle-stapled binding with a pictorial cover. 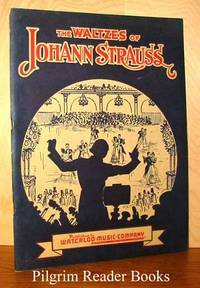 Includes piano music: Artist's Life, The Blue Danube, Kiss Waltzes, Morning Journals, New Vienna, Roses From the South, Tales From the Vienna Woods, Thousand and One Nights, Treasure Waltz, Vienna Life, Voices of Spring, Wine, Woman and Song, You and You. Former owner's signature on first page. .
London, UK. : J. Curwen & Sons. Fair. Soft Cover. 12mo - 18.5 x 12.5 cm. ; 32 pp. Light tan wraps that are separating at the sewn spine. A collection of 40 songs (lyrics with melody line only) that are Irish, Scottish, English and Welsh. Wraps are worn, interior is clean. Contents: "The Bay of Biscay", "O Who Will O'er the Downs? ", "Ye Banks and Braes", "The Meeting of the Waters", "Sally in Our Alley", "Men of Harlech", "The Soldier's Farewell", "Tom Bowling", "Then You'll Remember Me", "John Anderson, My Jo", "Caller Herrin'", "Oft in the Stilly Night", "Cherry Ripe", "The Harp That Once", "On the Banks of the Allan Water", "Now is the Month of Maying", "Yes! Let Me Like a Soldier Fall", "The Last Rose of Summer", "Robin Adair", "Rule, Britannia", "John Peel", "The Minstrel Boy", "The Blue Bell of Scotland", "Weel May the Keel Row", "Here's a Health Unto His Majesty", "Auld Lang-Syne", "The Lass of Richmond Hill", "Heart of Oak", "From the Village Steeple Pealing", "Huntsman's Chorus", "Rocked in the Cradle of the Deep", "Home, Sweet Home", "A Hunter Bold and Free", "Annie Laurie", "The Old Folks at Home", "A-Hunting We Will Go", "A Life on the Ocean Wave", "The Pilot", "The Ash Grove", "The Red, White, and Blue". .
Descants for Christmas. (A World in Tune). 2 copies. By Krone, Beatrice and Max. (the Krones). Park Ridge, Illinois: Neil A. Kjos Music Co.. Very Good. 1949. Soft Cover. 4to - 26 x 17.5 cm. ; 48 pp. Pictorial covers with a saddle stapled bindings. 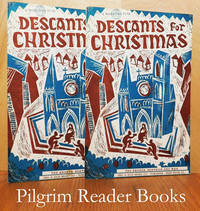 Includes fourteen Christmas carols from England, Catalonia, Wales, USA, France, Belgian and Norwegian along with some traditional carols all enhanced by Crown's nice illustrations. 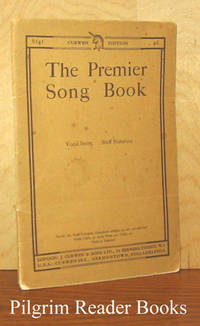 Both melody and accompaniment along with complete lyrics. Light edgewear to the covers with some mild soiling. The interiors are clean and the bindings are solid. Contents: 1 - "The Angel Gabriel", 2 - "The Boar's Head Carol", 3 - "A Child This Day Is Born", 4 - "Christmas Bells", 5 - "The Coventry Carol", 6 - "Deck the Halls", 7 - "The Friendly Beasts", 8 - "The Holly and the Ivy", 9 - "In Dulci Jubilo (In Sweet Jubilation)", 10 - "Jingle Bells", 11 - "Noel, Nouvelet", 12 - "O Come, O Come, Emanuel", 13 - "Sleep of the Child Jesus", 14 - "Welcome, Sweet Christmas". Both are included. .